Get to it scallywag! How do I play!? Right now were in an alpha stage, so its not really advertised, use /server events from the main survival server and that will get you to the Halloween Event! Once were a bit more happy with the stability of the we will add in portals, a /play command to all servers to navigate and each server will have its own IP for quickly getting to it (Without having to log into the main survival!) 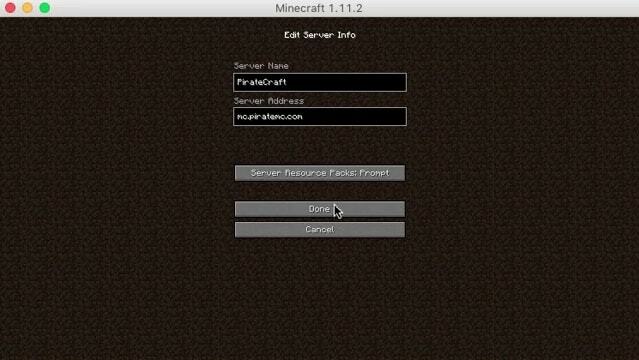 As well as our soon-to-open Hub, which will have NPC’s that are clickable and a /hub to get to it. Right now the only way is via /server events, and to get back /server survival. I will change this paragraph of text once the changes are made. This is our first mini-games, The plugin is brand new, We haven’t had many games for testing, there will be bugs, I would class the event as still in Alpha, we are collecting feedback on the forums, I have made a list of things that already need changing at the top of the thread so you know what will change so you don’t repeat what’s already been reported! [event] Halloween 2017 Mini-Game Requests/Changes Master thread. Halloween 2017 15% off Sale! As usual we are running a month-long 15% off sale to celebrate Halloween! use coupon code spookysails for 15% off /donate and the Donation store when you checkout. CallieMav updated the Custom mobs from last years Halloween event, so we could re-use them in a mini-game arena! how awesome is that! 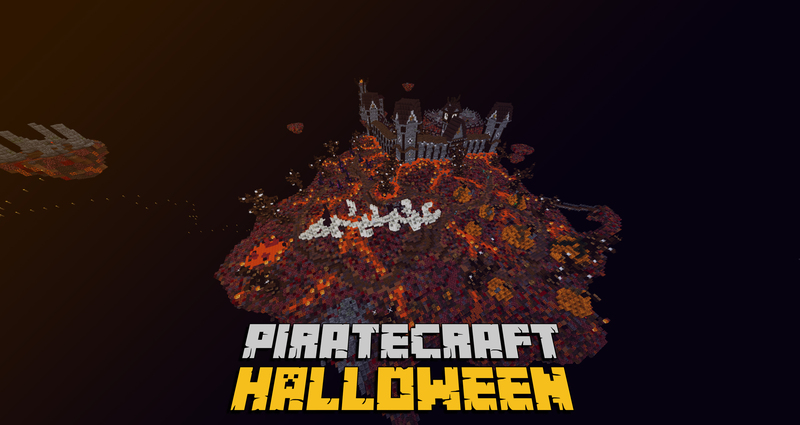 This time you can battle the PirateCraft Halloween mobs with pre-made kits without worrying about dying! Each of the custom mobs drops more XP, the harder the mob the more XP! At present here is the breakdown of how XP is calculated per mob on the Halloween Mob VS Players Mini-game. You can check out all the mobs from last years event, and this years mini-games on our old blog post. Most of the buildings and trees are destructible, they react to explosion damage from Mobs, TNT, Explosion Bow etc. You can blow holes in/around the walls and buildings to escape or break in. There are 3 classes, demolition, Medic and Assault. Each class has 3 upgrade tiers, accessed from /arena rewards. You buy upgrades using nuggets, which are awarded for playing and killing mobs for XP. Upgraded classes have better kits, weapons and Armour. As from above you gain XP from killing mobs, harder mobs drop more XP, at the end of the round your XP is converted into Nuggets, a currency that can be spent. Nuggets can be spent on the Halloween Classes to upgrade your tiers on your classes, it will in the near future be able to be spent on the survival for special Halloween custom items! There is no ETA for this yet, as the mini-game is still in alpha and we are changing and fixing bugs. Mob spawns are broken up into phases, Each phase spawns a new set of mobs making it harder! In phase 5 the Main Bosses spawn, these drop the most XP. PVP Is turned on in phase 4, to introduce more of a battle into the gameplay! Each game lasts 7 minutes. Massive props goes out to the Builders of the Halloween event, who were able to crack out this arena in an incredible time of 3-4 days. The Original structure and layout of the build came from JusaPlayer1’s survival build on the main server! He inspired the build team to make his spooky build into an arena for this event! Using JusaPlayer1’s build as a template, the build team set in to expand it into an arena, massive praise goes out to Maximus_Terragon, Gruusha (Jmoo), Riverwood202, Cysteen, The_Network, Dpex81, & SmokeyRiver for building the custom terrain, re-shaping the build, adding in new areas, adding hidden areas, underground boss spawns and all the cool spooky details (Those spooky ducks). Massive Credit to CallieMav for once again giving us the unique fighting experiences from the custom PirateCraft Halloween mobs! He spent a lot of time updating them to work with all the updates! So Thank you CallieMav! Home › Forums › Halloween 2017 Mini-games event, Custom Mobs, Custom Weapons, Exploding arena, Collect Gold Nuggets! This topic contains 1 reply, has 2 voices, and was last updated by SnapCrackPlays 1 year, 5 months ago.